Meet Coyote Artist Jennifer Cronin! 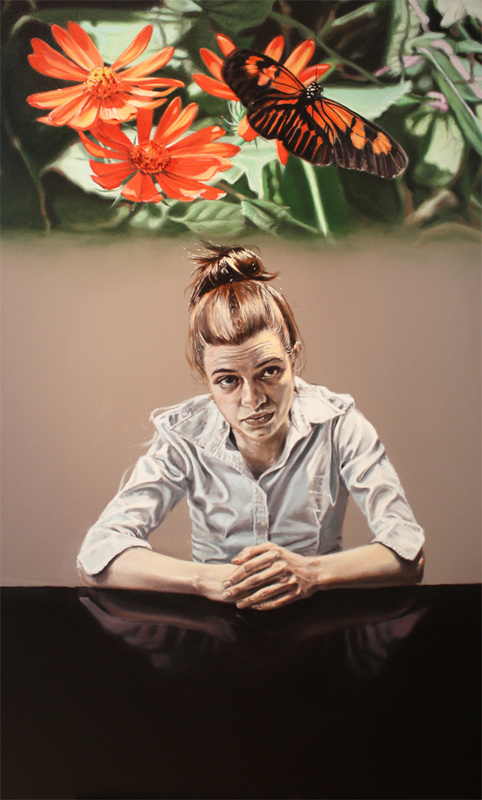 Jennifer Cronin is a Chicago-based artist, born and raised in Oak Lawn, Illinois. 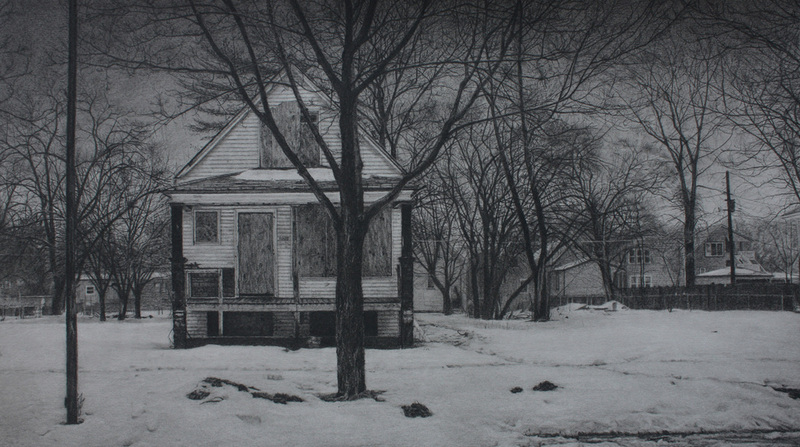 She attended the University of Illinois at Urbana-Champaign, where she earned a dual BFA in painting and art education. As the capstone of her education, she studied painting at Camberwell College of Art in London, completing her education in 2009. 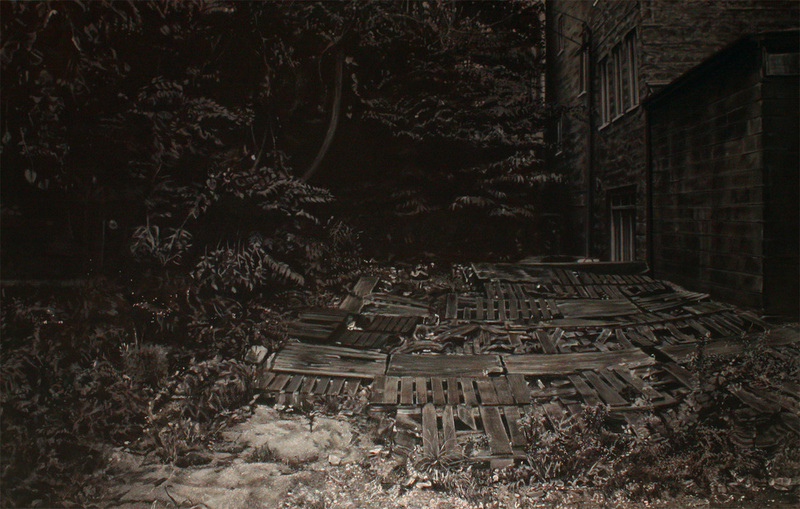 Since graduating, Cronin has become known for combining an uncanny realism with psychological depth to create large paintings that capture extraordinary encounters amidst the backdrop of ordinary, everyday life. 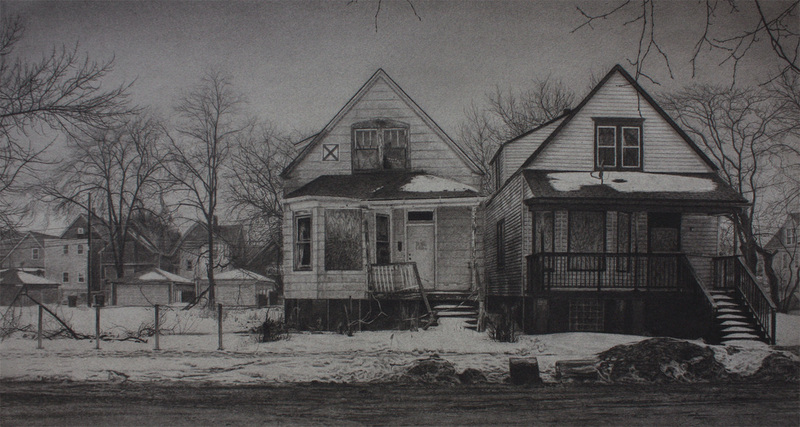 Currently, Cronin is working on a series of drawings documenting foreclosed homes in Chicago. These houses, once filled with life and warmth, are shown as striking shadows of their former selves both stark and stunning in their detail and mood. Cronin has exhibited widely in the Chicago area, as well as nationally and internationally. 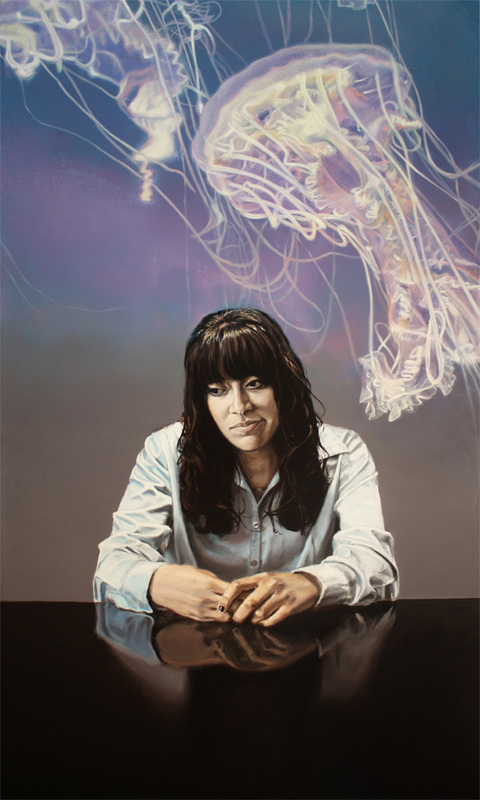 She has had solo exhibitions at 33 Contemporary Gallery and Elephant Room Gallery, among other galleries. She has been featured in many publications, including New American Paintings, and has earned numerous awards for her work, including Best in Show at the Buchanan Center for the Arts show America: Now and Here juried by Eric Fischl. She continues to work in her artist studio in Chicago. Wandering. Looking for something to follow. Hoping to find a hint of something that is genuine and true. In my early work, it is a playful tale of imagination weaving itself throughout my daily life. It is a dream that has taken grip in my consciousness and won’t let go. A wistful yearning for something more. A quiet reflection on the mystery of the everyday. The brilliance and beauty that can be lost if you don’t try to catch it. As time has passed, I have turned my search outward. Searching for meaning in the lives of others and the surrounding world. Hoping that we can all connect through our lives lived, our sense of empathy, our individual stories, our hopes and aspirations, and our shared struggles and disappointments. Chasing after the mystery and complexity of our lives, and the fingerprints that we leave behind in this world. Previous Previous post: Meet Coyote Artist George Larson!